In case it helps anyone, I found a quick-and-dirty way to monitor Dell PowerVaults for hardware or RAID problems without mucking-around with SNMP. 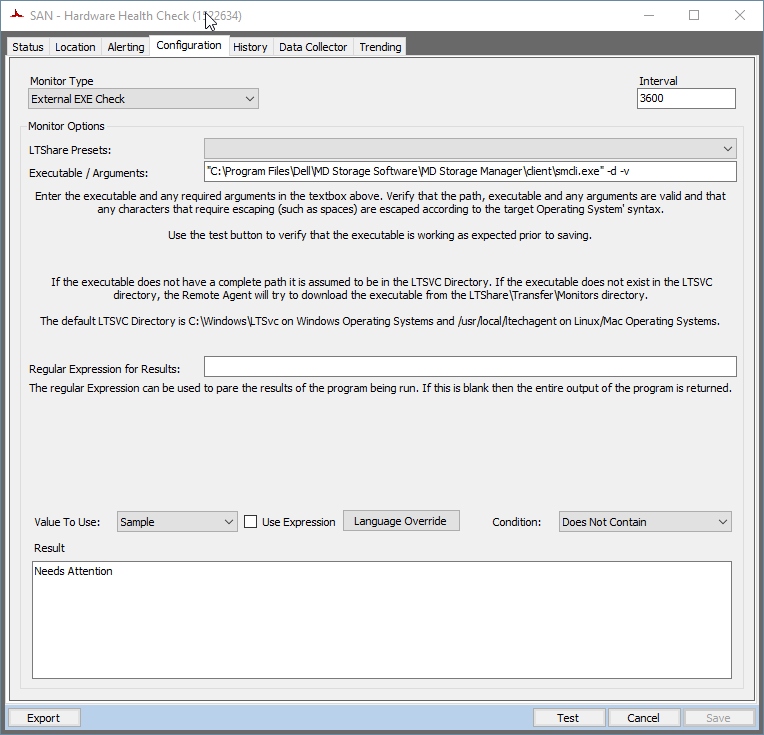 Dell's Modular Disk Storage Manager (MDSM) software includes a command-line tool (SMcli.exe) that can output a list of the storage arrays it knows about and a brief health-status descriptor for each. So I created a remote EXE monitor on the server running MDSM that runs the above command and checks if the output contains the string "needs attention". Mine was located at "C:\Program Files\Dell\MD Storage Software\MD Storage Manager\client\SMcli.exe" but this looks promising. Thank you.